We have an experienced team of dentists on hand here at The Friars Street Dental Practice, with each dental specialist holding a wealth of knowledge and experience within the industry. To find out more about our skilled and helpful team, simply read on! 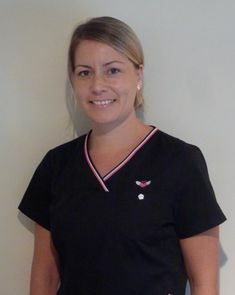 Tara qualified from Guys Dental Hospital in 2007. During her studies she gained academic and clinical excellence achieving the Maurice Wohl General Dental Practice Prize. Since qualifying Tara has held posts in Hospital, Community and General Dental Practice in and around Essex. Tara constantly likes to update her skills; she became a member of the Royal College of Surgeons in 2009, gained a teaching qualification in Medical and Dental Education in 2010, and recently completed a Postgraduate Diploma in Conscious Sedation from Guys Dental Hospital. 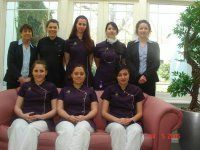 Alongside her clinical dentistry, Tara has been an Honorary Tutor at Barts and the London Hospital. She is currently a Vocational Trainer on the East of England Deanery where she is involved in training newly qualified dentists. Tara has a special interest in treating nervous patients. Her calm relaxing chair side manner helps put her patient’s at ease. Outside of Dentistry Tara enjoy spending time with her family (including her chickens and ducks) and getting things to grow in her garden. Dr. Khan qualified at Kings College London in 2000. He has a wealth of experience and a strong passion for dentistry. Since qualifying from Kings College he has continued to add to his skills, he has a diploma in dental sedation making him very good with anxious patients, as well as an additional qualification in restorative dentistry from the prestigious Eastman Dental Institute. He has worked at both Ipswich hospital & West Suffolk hospital as well as the Royal London Hospital. Dr. Pavid is an extremely accomplished dentist who qualified at the University of London in 1983. He has been working as a private dentist in East Anglia for the last 30 years and has a wide range of experience in all areas of general dental practice. He is a family man with grown up children and loves anything to do with motorsports. 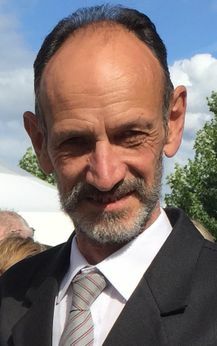 After qualifying from Newcastle in 1983, Karl worked, first in the North East for a year and then Ipswich, finally returning to Sudbury, where he had been a pupil at Sudbury Grammar School, in 1986. Twenty six years later he is still here, although in that time he also spent ten years as a part time Clinical Assistant in the Orthodontic Department at Addenbrooke's Hospital in Cambridge. 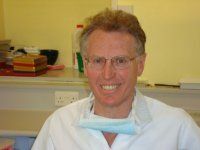 His time at Addenbrooke's gave him a very strong interest in Orthodontics (braces) so for well over twenty years this has formed a large part of his work here in Sudbury. In fact he now spends as much time on Orthodontics for children and adults as on General Dentistry. He has been a member of the Local Dental Council in Suffolk for two years so has strong connections with the local community of dentists. In his spare time he enjoys time with the family (two boys at University and one girl still at school) two dogs and an elderly boat which he repairs in winter and sails with his wife during the summer! After qualifying in 2001 he worked in London in general practice for 5 years. He moved to Sudbury and joined the Friars Street practice in 2006. 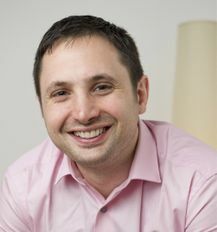 He especially enjoys cosmetic dentistry and tooth whitening and has an interest in treating dentally anxious patients. His interests include cricket and reading, and he is a huge Queen fan. 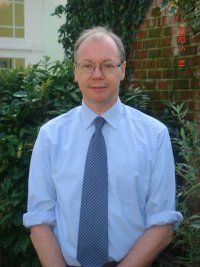 After qualifying from Kings College Hospital in 1977, Richard worked in a south London practice for a year and a half before moving back to his roots in Suffolk. He has been with us at the Friars Street Dental Practice since 1979. He is married to Katie and has three sons and a grandson and enjoys fishing, shooting and also walking in the countryside. 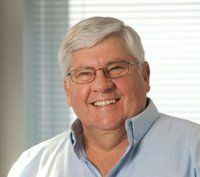 Dr. Johann Ackerman graduated from the Dental School at the University of Pretoria in 1977. He was in private dental practice from 1977 - 1984 after which he enrolled for post-graduate studies. He attained a Masters Degree in Maxillofacial and Oral Surgery in 1988. In October 1988 he commenced his private practice as a Maxillofacial and Oral Surgeon in Pietermaritzburg, South Africa. Johann's area of excellence in his specialization is in orthognathic surgery, implantology and conservative and surgical management of Temporomandibular Joint disorders as well as minor oral surgery. He has placed in excess of 5000 dental implants. Johann was a committee member of the Natal branch of the Dental Association of South Africa from 1988 - 1998 and a member of the Executive Committee of the South African Society of Oral and Maxillofacial surgeons from 1998 - 2006. He is also an Associate member of the International Society of Oral and Maxillofacial surgeons. He has attended numerous International Conferences, workshops and refresher courses on a regular basis in the field of Oral and Maxillofacial surgery as well as Implantology. Johann was part of the team at the centre for Dental Implants in Pietermaritzburg, South Africa. Johann and his family relocated to England in the middle of 2009. Johann is married to Elsa and they have two children - a daughter Ualani, who is 24 years of age and a son Johann, who is 20 years of age. Johann enjoys golf as a hobby as well as outdoor life. Sharon joined the Practice in June 1996 and was receptionist for 9 years before taking on the role of Practice Manager which she has been doing for the last 10 years. She is married with two grown up children and has two young grandsons. She enjoys socialising with family and friends and dining out. Her interests include listening to music, going to the gym, walking her dog, and she has a passion for shopping.